A “campaign” can mean different things in different contexts (advertising, email marketing, fundraising). But in all of these cases, a campaign is something that involves an appeal + a call-to-action. A campaign on Flipcause is no different. Whether it's making a donation, paying for tuition, signing up to volunteer, buying merchandise, registering for an event - a Flipcause Campaign is the place where your supporters can take action on your appeal. We refer to these "calls-to-action" as engagements, or engagement tools. A Flipcause Campaign can either be a project with a clear goal and end date, or it could be an ongoing engagement such as the General donation fund. Every tool we have on Flipcause represents a specific action a supporter can take, so you can have not only donation campaigns, but events campaigns, volunteer campaigns, peer-to-peer campaigns, and multi-tool campaigns as well. After creating the campaign, you'll then be able to edit it, as well as add it to your website or email it to your supporters. 2. Event/Registration - Sell tickets to your event, create a free event registration, or set up a program registration that is paid or free. 3. Volunteer - Create an application or interest form for volunteer sign-ups, or create specific job positions and descriptions. 4. Peer-to-Peer - Allow your supporters to create their own campaigns on behalf of your organization. These can be to raise money, recruit volunteers, sell event tickets, or used with any other Flipcause action. 5. Online Store - Sell merchandise online. 6. Sponsorship - Offer perks at specific donation levels. This can be used for sponsorships as well as reward-based crowdfunding campaigns and allows you to add descriptions, types, and benefits. 7. 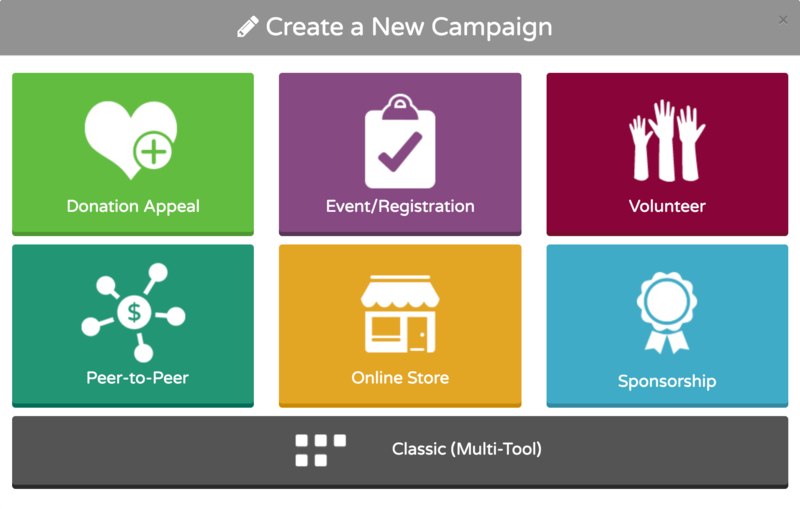 Multi-Tool - Combine any of the tools to create a campaign that features numerous ways to engage your supporters.